Actress Lupita Nyongo was without a doubt one of the BEST dressed at the Met Gala this past Monday. Wearing a dazzling emerald colored Calvin Klein dress she SLAYED y'all! The Oscar award winning thespian nailed this year's theme of merging fashion and technology like a red carpet veteran. What stood out for me was her hair - EVERYONE was talking about that glorious gravity defying mane. But when people talk, they often get it wrong. Like very wrong. Take for instance Vogue Magazine, this is what they said about Lupita's hair. Via Vogue: "The sculptural style is also reminiscent of the updo Audrey Hepburn sported in a 1963 Vogue shoot with Bert Stern. And the similarities between the two ingenues extend beyond hair; both, like Hepburn’s famous incarnation of Eliza Doolittle inMy Fair Lady, have mastered the art of transformation, from head to toe." Oh shame, How did this happen? 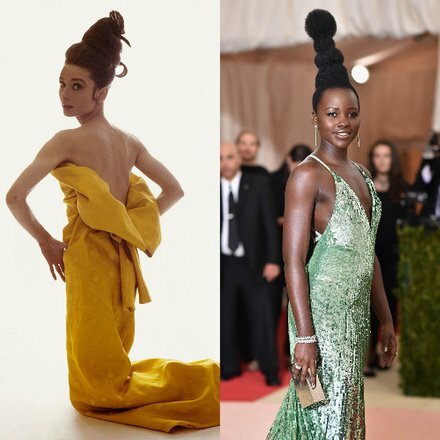 Lupita even told Vogue's Andre Leon Talley that her beautiful hairstyle was inspired by "sculptural hairdos from around the continent" as well as the iconic singer Nina Simone. So how did they get Audrey Hepburn from that? Do they not remember when Lupita once said "Our hair is like clay. You can mold it into whatever you want it to be!" Lupita's classy clapback is brilliant -short, concise and to the point. 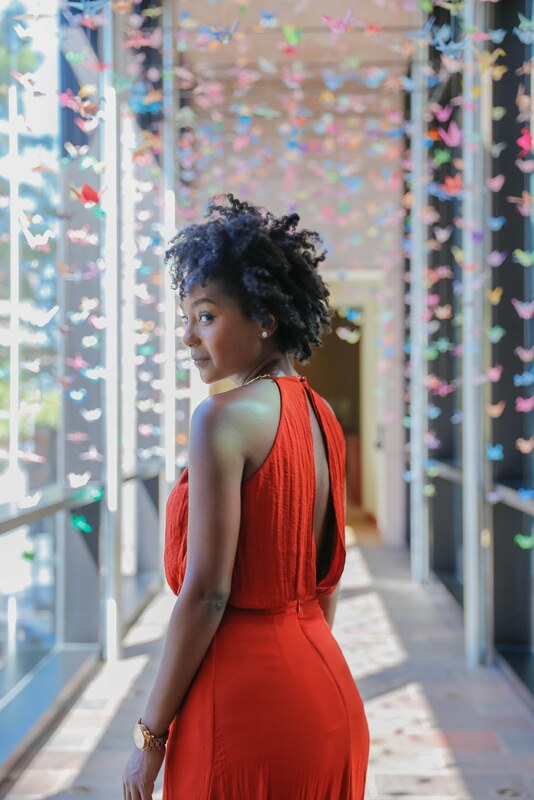 She tagged Vogue Magazine and responded via Instagram detailing her true influences. Even though it's a continual struggle against ignorance, I am just so happy to have gorgeous black women such as Lupita and Danai Gurira showing the full breadth and spectrum our beautiful African culture. They are so inspiring! School 'em Queens.